Roughly translated as, "A beautiful well-written and very tender story to be read together with your children to give them the magic of Christmas." Just one of the sentiments expressed in the most recent five-star review on Amazon.it, which can be found here. Following Alexander's recent visit to St Ninian's Primary School, he has received an overwhelming response from both students and staff. Students made illustrations of their own elves and created reviews in the form of Twitter posts. Check them out here! On the afternoon of December 19th, Alexander visited St Ninian's Primary School to host an author's workshop with P7 students focusing on writing a book blurb. He worked closely with students to teach them how to create a book blurb and to hone their writing skills. The teachers had been very kindly reading The Christmas Present to their students in class and so Alexander returned the next morning to read the final three chapters to the entire school in the assembly hall. He brought 60 copies of the book and 5 gift box sets along with him that were donated to the school. Recently, Alexander was interviewed by Interface for their online blog. Interface matches Scottish businesses with academic expertise and with whom Alexander has enjoyed previous collaborations and is currently engaged with them on a number of exciting new projects. On the Isle of Bute, local Rothesay residents recently gathered at Apple Tree Nursery to welcome Alexander as part of their annual Christmas Fayre. 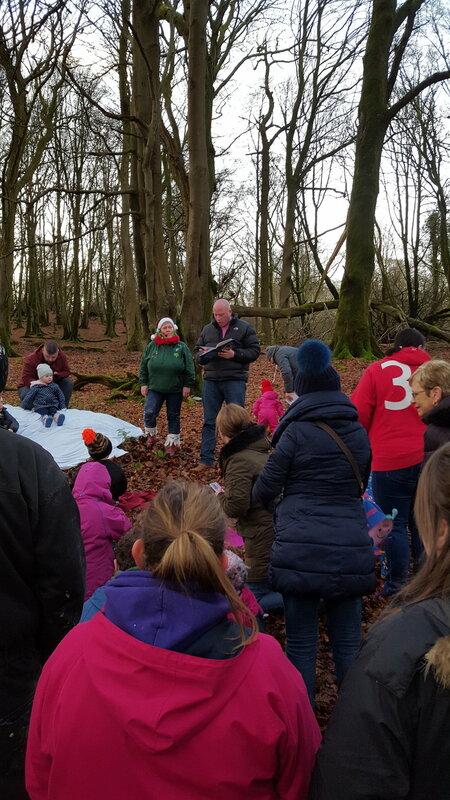 Invited by island resident Aidan Canavan, who owns Bute Brew Co, Alexander read passages of The Christmas Present as part of the nursery's Enchanted Forest Walk. The nursery aged children walked through the nearby woods where they participated in several activities from making their own reindeer dust, to toasting marshmallows, and finally posting their letters to Santa. Alexander was also on hand to autograph copies of the book and gift box set. On Saturday, November 25th, Alexander visited the Toy Hub's locations in Dunblane and Bridge of Allan to officially launch The Christmas Present book and gift box set. Met with queues and excitement at both locations, people patiently waited to receive their autographed copies. 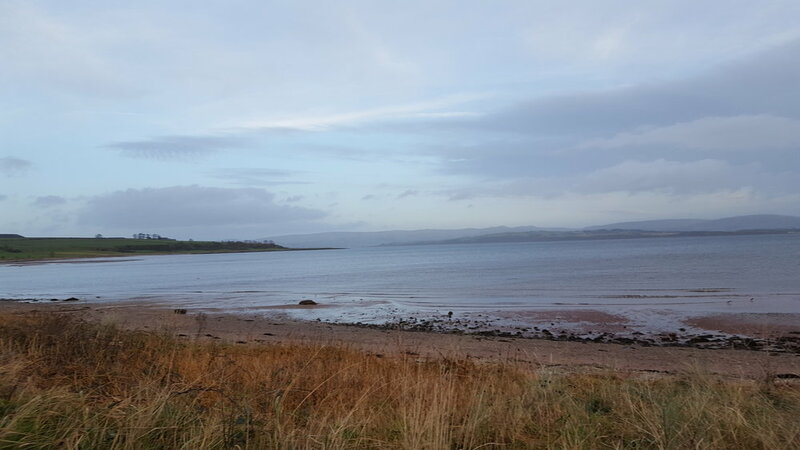 Several people traveled some remarkable distances - most notably through the snow from Nairn - to buy their autographed copies and to meet the author himself. Thank you to each and every one of you who attended and to those who have graciously shown their support! Local photographer Naeve Scaife was on hand to take pictures of the event and several of her photographs are featured here. I'm absolutely delighted to announce that the French, Italian and Spanish translations are now live on Kindle. A massive thank you to Scottish Enterprise for their support in making the translations a reality. Also, thank you to the wonderfully talented and absolutely amazing Brigitte Depret, Simona Manca and Maria Sanchez. These incredible women didn't merely translate each word, they took the time, care, and consideration and applied their amazing expertise to ensure that the meaning, spirit, message and sentiment of the book was conveyed and this level of personal investment left me both proud and humbled. Finally, thank you to my absolutely awesome illustrator, Fabiana Farcas, for creating brilliant illustrations that are completely consistent with each of these translations. French, Italian, Spanish and German. I've had some pretty cool and completely unexpected experiences in my life, but this is way up there. The Christmas Present is being translated and will be available in Kindle stores in France, Italy, Spain and Germany next week and will be available as the Gift Box Set in each of these countries next year. As you can imagine, I'm absolutely buzzing!!! I'm absolutely delighted to announce the official launch of the Gift Box Set and Hardback Book at the Toy Hub stores in Dunblane at 9:30 am and Bridge Of Allan at 13:30pm on the 25th of November. Welcome to Gabriel the Elf!